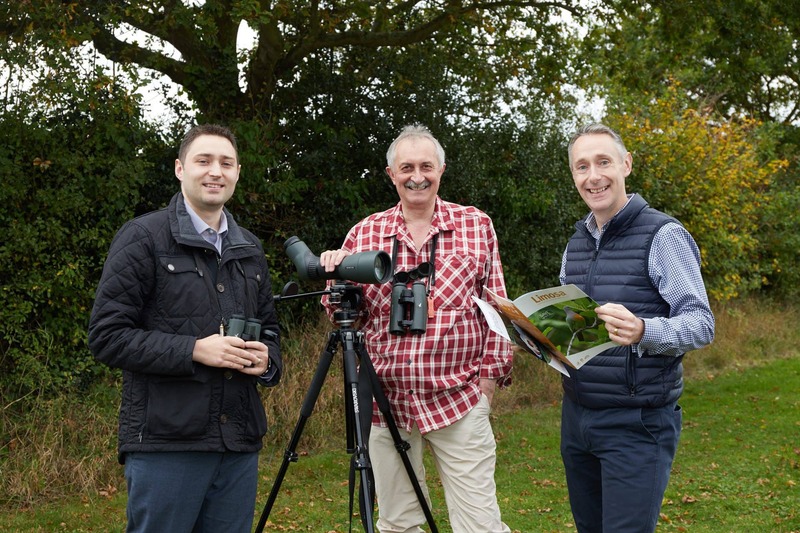 Norfolk accountancy firm Stephenson Smart are helping to breathe new life into a birdwatching tour operator. Limosa Holidays, owned by Chris and Barbara Kightley, provide successful birdwatching tours across the globe. But as the business has soared, so has the task of meeting new requirements related to its ATOL protected holidays. In response Martyn Benstead, partner at Stephenson Smart, and manager Mike Rowles have studied to become ATOL reporting accountants, putting them amongst the first accountants in the country to hold the qualification, while Martyn was the first registered ARA in Norfolk. Limosa Holidays was set up in 1985, taking the name from Limosa, a black-tailed Godwit, a scarcely bred Norfolk bird. With modest aims, Chris and Barbara took small groups of like-minded people birdwatching from their home in north Norfolk. After the birth of their first child in 1991 they no longer had space to accommodate guests, so they made the switch to running hotel-based holidays in the UK, expanding to trips abroad. Now based in Stalham, they host escorted birdwatching and wildlife tours across all continents of the world. Chris and Barbara have been working with the Stephenson Smart team from the beginning of 2012, who have guided them safely through new demands from the Civil Aviation Authority, as well as cash flows for ABTOT travel bonding. Chris said: “Mike and Martyn completed and passed the CAA online training course and Martyn registered to become an ARA. “They have really put themselves out for us, right from the word go, including going the extra mile to obtain the qualifications required of them by the CAA to handle our annual ATOL licence renewal and returns. “The reporting rules changed in 2015, meaning that renewals needed to be signed off by a CAA registered accountant, named an ATOL Reporting Accountant (ARA). “We couldn’t run a small company like Limosa without the right support and professional advice, notably that of our accountants. Times are changing fast and it’s important to keep up to date, especially as much of our business is now done online. “Right now we’re in the throes of getting to grips with Making Tax Digital and Mike is doing a lot of work behind the scenes to ensure we’re ready for this. Mike Rowles, manager at Stephenson Smart in Fakenham, said the company was delighted to add ATOL reporting to the list of services available to clients. “Chris asked us to support him with the changes in requirements and Martyn and I were really happy to oblige. It’s another string to our bow and its imperative as an accountant to be able to support our clients with whatever service they ask for. “We know how important it is to stay in touch with all new regulations. Stephenson Smart has supported Limosa Holidays by adding ATOL reporting to the list of services available to clients.